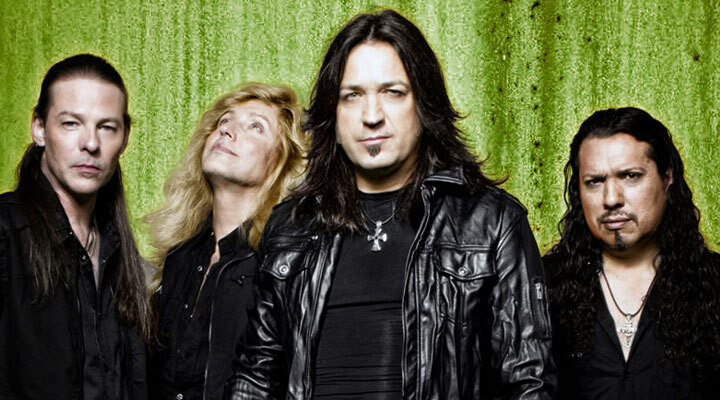 Stryper Biography, Discography, Music News on 100 XR - The Net's #1 Rock Station!!! This Hard-Rock band was formed in Orange County, California USA, in 1983 and pioneered the Christian Rock-Metal genre. Comprising singer + guitarist Michael Sweet, lead guitarist Oz Fox and the frontman's brother, Robert Sweet on drums, the trio originally dubbed themselves Roxx Regime before changing their name to Stryper, the Isaiah 53:5 reference under their logo is a Bible verse that states, “...by His stripes we are healed”. The band managed to promote a religious message without being preachy, eventually earned their stripes on the Los Angeles Metal club circuit and in 1984, after recruiting bass player Timothy Gaines, signed with Enigma Records who released their debut mini-album, a 6-track disc entitled "The Yellow And Black Attack". In May 1985 the quartet unleashed their first full-length release, "Soldiers Under Command", reaching the #5 spot on the Billboard's Top Contemporary Christian Albums chart, the #86 position on The Billboard 200 chart and selling over half a million units worldwide. A year later "The Yellow And Black Attack" was repackaged and re-released, it debuted at #131 on The Billboard Top 200 Albums chart. 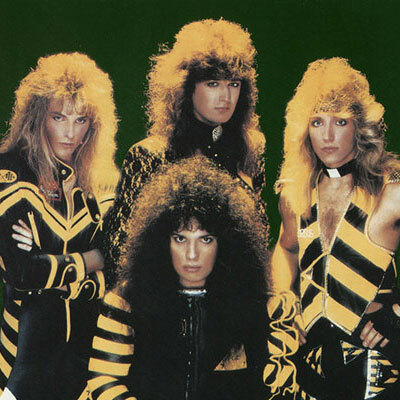 In the fall of 1986 Stryper released its breakthrough LP, "To Hell With The Devil", it peaked at #32 on The Billboard 200 and went platinum helped on its way by the ballad "Honestly", which rose to #23 on The Billboard Hot 100. 1988 saw the near-platinum release of "In God We Trust", it cracked the top 40 of the U.S. Top 200 Albums chart and spawned two singles: "Always There For You" reached #71 on The Billboard Hot 100 and "I Believe In You" crested at #88 on the same chart. In 1990, they abruptly changed gears and made an album with no mention of the word God in it, as a result fans were immediately confused, "Against The Law" didn't rise higher than #39 on The Billboard 200 and failed to generate hit singles. Not long after, Enigma Records went bankrupt and Stryper was left without a record company. This was short-lived, as they were quickly picked up by Hollywood Records who released the greatest-hits set "Can't Stop The Rock", in July 1991. The compilation missed the chart completely and in January of 1992, Michael Sweet left the group to pursue a solo career. Officially Robert Sweet, Oz Fox and Tim Gaines continued as a three-piece for another year, then disbanded. On May 21, 2000, Stryper hit the stage again for an informal jam at the first annual Stryper expo in New Jersey; three years later Hollywood Records released "Seven, The Best Of Stryper" that included two new songs, the band then embarked on a 35 city tour in support of the compilation album. In late 2004 the Sweet brothers and Oz Fox decided to enter the studio to record a new Stryper album, Gaines had no interest in a group setting anymore, his replacement was bass player Tracy Ferrie. 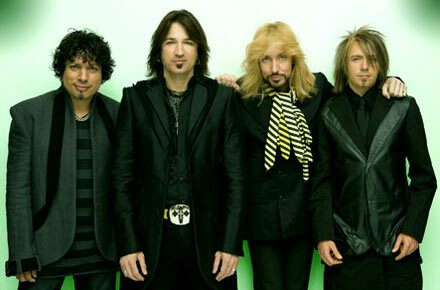 Stryper emerged in August 2005 with, "Reborn", their first album of new material in 15 years. It peaked at #4 on the Top Christian Albums chart. "Murder By Pride" followed in July 2009 and one year later the band decided to record an album of favorite covers, the collection titled "The Covering", marked the return of Tim Gaines. In the fall of 2013 Stryper released its eighth studio album of original material: "No More Hell To Pay".